One of MST’s key selling points is the fact that we are involved with the vehicles we produce from start to finish. We design, manufacture and deliver our vehicles to clients and can also operate the logistics and maintenance from our offices in Cape Town and Johannesburg. Since our establishment, MST manufacturing have delivered 65 specialised vehicles across Africa, under the guidance of our inspiring managing director, Fernando Acafrao. The factory in Cape town has produced a wide variety of vehicles, from maternal health mobiles to mobile libraries but the company has recently narrowed its focus on four types of vehicles to deliver the best solution. These vehicles can deliver healthcare, administrative, educational and social services to underserved communities. 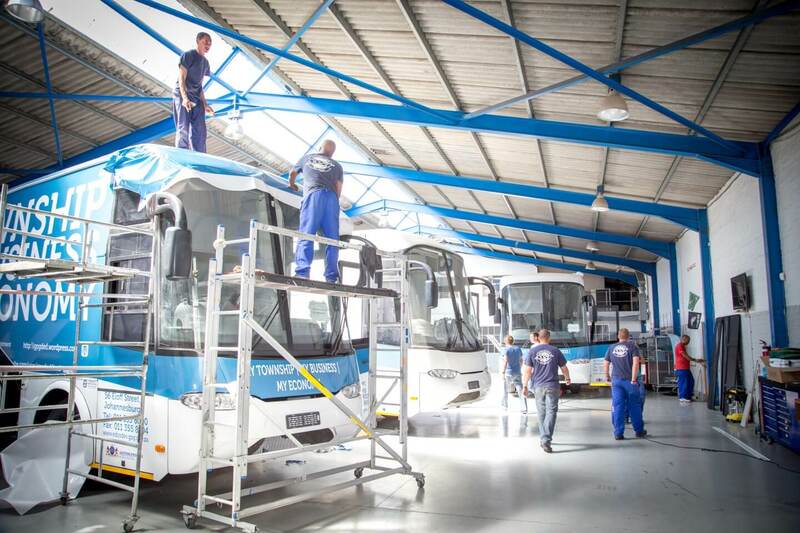 Eight specialised buses are currently being built in the MST Factory in Cape Town and Acafrao is particularly proud to soon launch the first three Mobile Health Clinic mobiles to focus on the fight against HIV. According to Acafrao, MST is dedicated to grow solutions and make big positive impacts on society all across the globe. Other orders are in the pipeline and we are aiming to take our solutions global in the near future. MST is dedicated to grow solutions and make big positive impacts on society all across the globe.